Combine admission to two popular London attractions: The London Bridge Experience and a sightseeing cruise on the River Thames. Step between the arches of London Bridge for a gripping tour of its haunted history, then descend to the bone-chilling London Tombs. 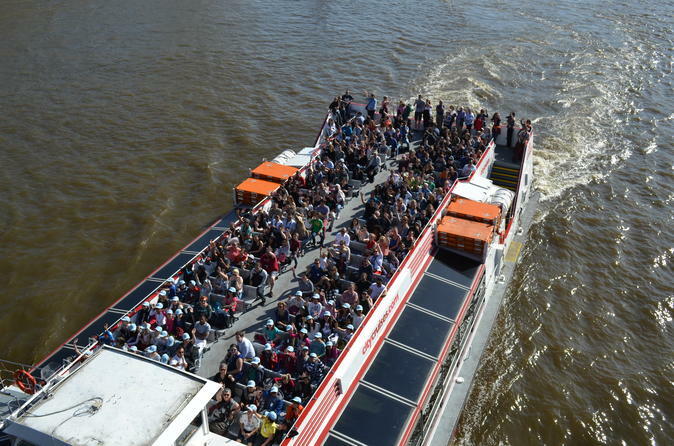 You’ll see major landmarks such as Big Ben and London Eye during a hop-on, hop-off river cruise, valid for 24 hours. Cruises depart from Westminster Pier, Tower Pier, Greenwich Pier and London Eye Pier. Cruises return to Westminster Pier, Tower Pier, Greenwich Pier and London Eye Pier.